Burial In The Sky Releases New Song "The Pivotal Flame"
Burial In The Sky partnered with Decibel Magazine to launch "The Pivotal Flame", the first single to drop from their upcoming album "Creatio et Hominus". 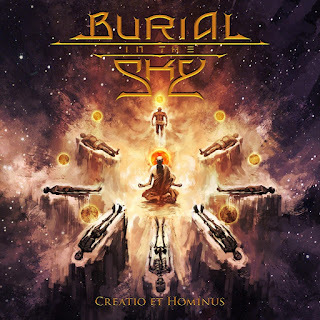 The song prominently features Zach Strouse's smooth saxophone playing alongside a litany of progressive focused twists and turns outside of the roaring technically inclined death metal focus at the heart of "The Pivotal Flame". You can listen it right HERE.